Equip a Polaris® RZR® XP 1000 with the outstanding protection of this Glass Windshield quickly and easily using Polaris® -exclusive Lock & Ride® technology. 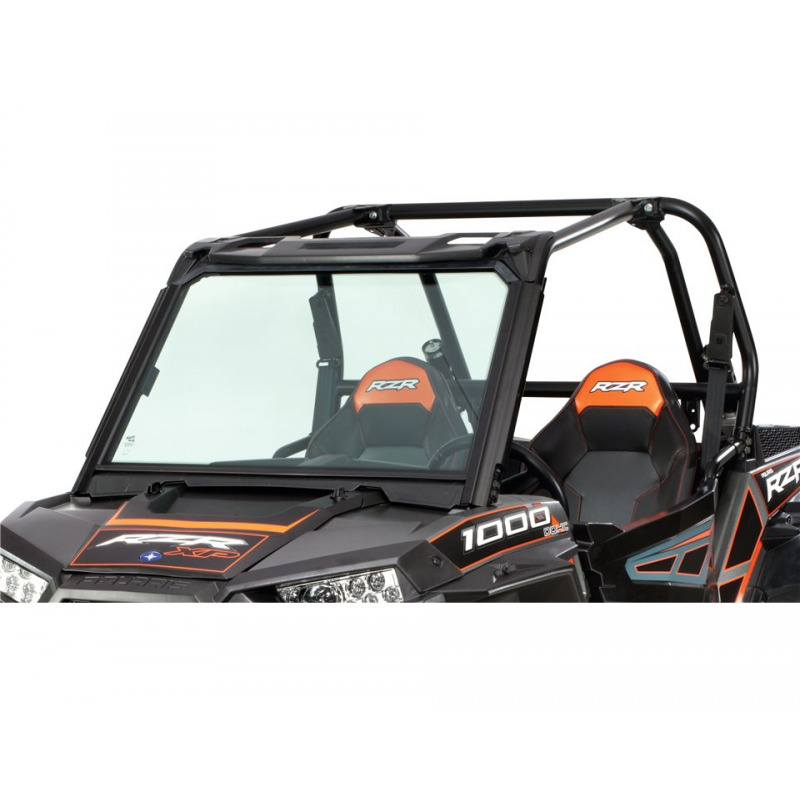 The RZR® XP 1000 cab frame is designed for integrated windshield installation and this Glass Windshield installs into the designated mounting position without tools using integrated Lock & Ride® mounting hardware. With minimal perimeter framework and the integrated installation, the windshield has a low-profile that results in the fullest visibility and superior fit and finish. 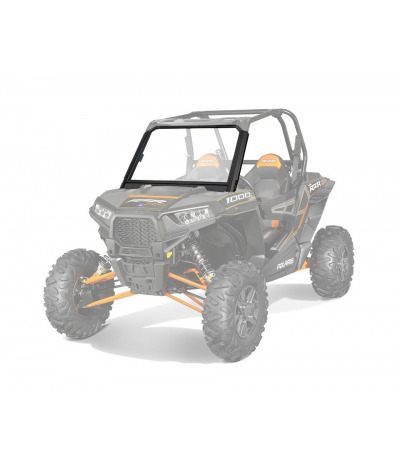 This RZR® windshield features tempered 6mm automotive safety glass that is impact-, shatter-, and scratch-resistant to provide RZR® riders with outstanding comfort, protection and value. Integrated wiring channels give the vehicle a more stylish look and add protection around your wires. 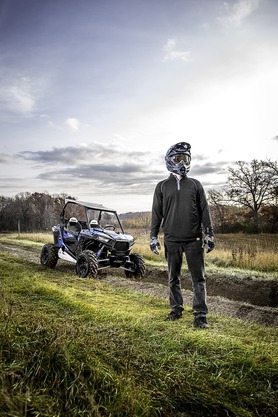 The windshield is fully framed for excellent sealing and to withstand the performance of the RZR® XP 1000. Material: Tempered 6mm automotive safety glass that is impact-, shatter-, and scratch-resistant. 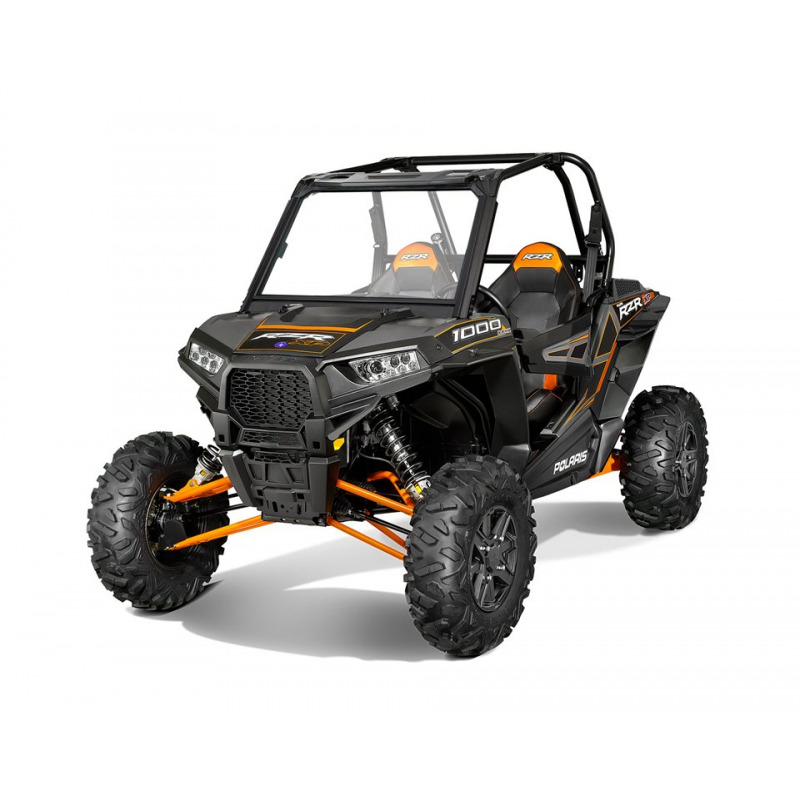 Installation: Glass Windshield installs in minutes without tools using Lock & Ride® technology and integrating into a designated mounting position on the RZR® XP 1000 frame. Includes: Glass Windshield and mounting hardware.